Did Wilt Chamberlain Really Have A 48+ Inch Vertical Jump? 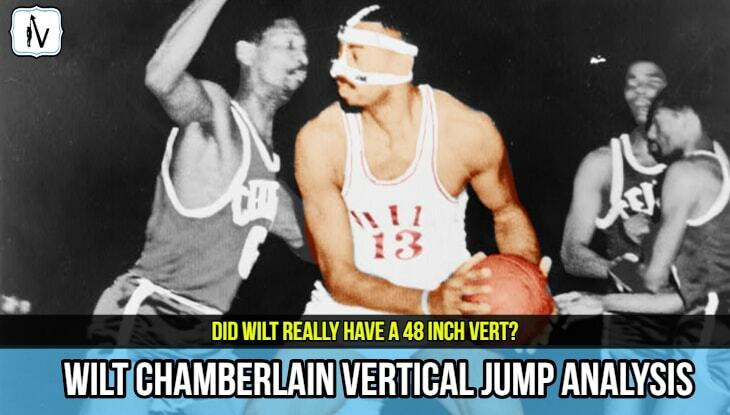 →Wilt Chamberlain Vertical – Did Wilt Really Have A 40+ Inch Vertical Jump? 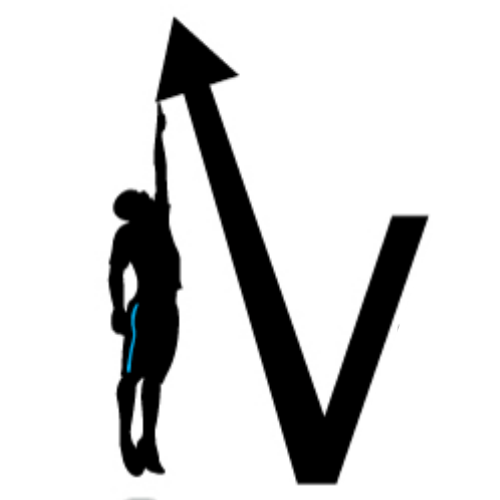 Wilt Chamberlain Vertical – Did Wilt Really Have A 40+ Inch Vertical Jump? 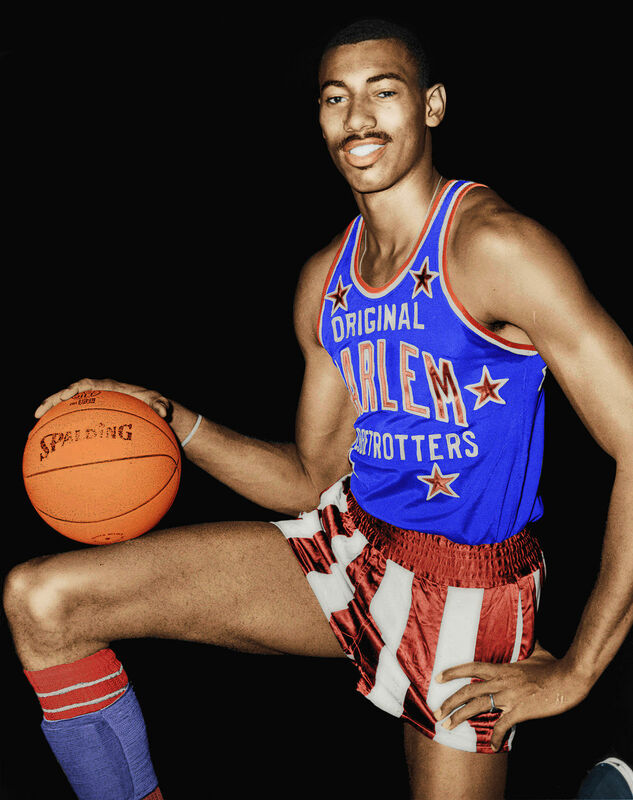 Wilt 'the Stilt' Chamberlain is the only man to have scored 100 points in a single NBA game. He is known as the most dominant center to ever play the game. The most impressive fact is that Wilt was 7'1” tall and had a rumored vertical jump of over 40 inches. In fact Wilt Chamber once claimed in an interview that his vertical, during his prime, was "46 to 48 inches, easy." In this post we will determine Wilt Chamberlains vertical jump height once and for all. Exactly How High Could Wilt Chamberlain Jump? People have speculated that Wilt Chamberlain's vertical jump height was at one time over 48+ inches, yet the exact details of his jump height have been unclear. The only real evidence of Wilt Chamberlain's vertical jump in action is from old grainy films. The camera angles used in these films can be very deceptive. Unlike the modern NBA player vertical jumps we have analysed we don't have access to great zoom in footage of Wilt's vertical jump shot at super slow motion. There are however some interesting photos highlighting Wilt Chamberlain's vertical jump. Let's take a look. 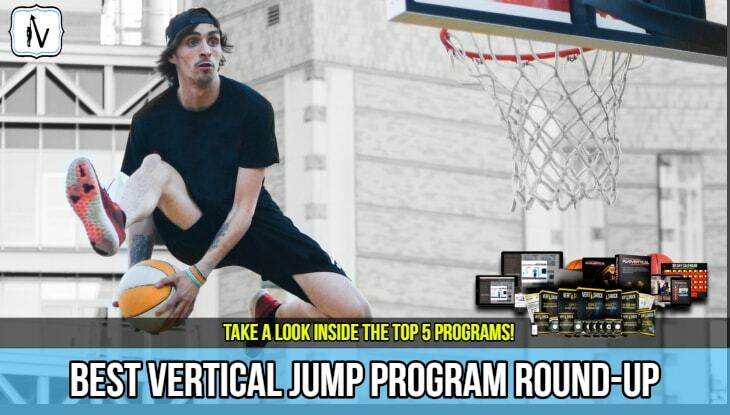 We have created a simple 13 question quiz to help you find the perfect vertical jump program for your specific needs, goals, body-type, sport and training preferences. 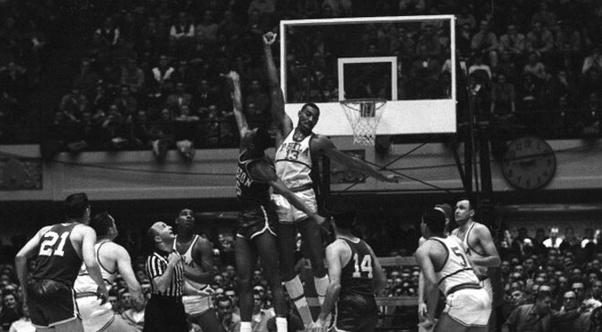 From this photo you can see that Wilt's head is pretty much level with the rim. Since we know that Wilt Chamberlain stood 7 feet 1 inch tall we can calculate that if he could jump with his head level to the 10 ft rim he would have a vertical jump height of 35 inches. This is much lower than the 48+ inch vertical jump height that he was rumored to possess. Vertical Jump Testing has revealed than the average modern NBA player has a vertical jump height of 28 inches. Therefore, even if 35 inches was near Wilt's max vertical he would still possess a vertical jump height well above the NBA average. If Wilt could jump over 48 inches high he’d be able to get his neck over the rim. After reviewing hours of Wilt Chamberlain footage I am yest to see him get his head significantly above the rim. It is important to consider that with his wingspan he could have easily touched the top of the backboard even with a 35 inch vertical jump. Note: Find out how tall you have to be to dunk based on your wingspan. From the footage you just saw it is is safe to assume that Wilt Chamberlain had a max vertical jump of around 35-40 inches. However, this does not take anything away from the legend that was Wilt Chamberlain. He was still, by all accounts the strongest NBA player to ever live. In his prime he lifted Arnold Schwarzenegger up with one arm. So how did Wilt Chamberlain jump so high? Well he was obviously genetically gifted. He also spent a lot of time ​lifting weights to allow him to jump higher.